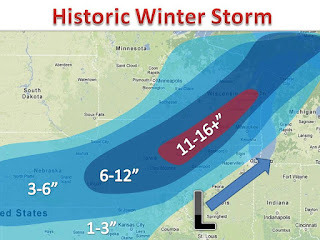 Snow totals were increased in this update, The blizzard of 2012 shows no signs on weakening. The snow is already falling in the Plains and will move in by the evening for many areas, then continue through Thursday evening. 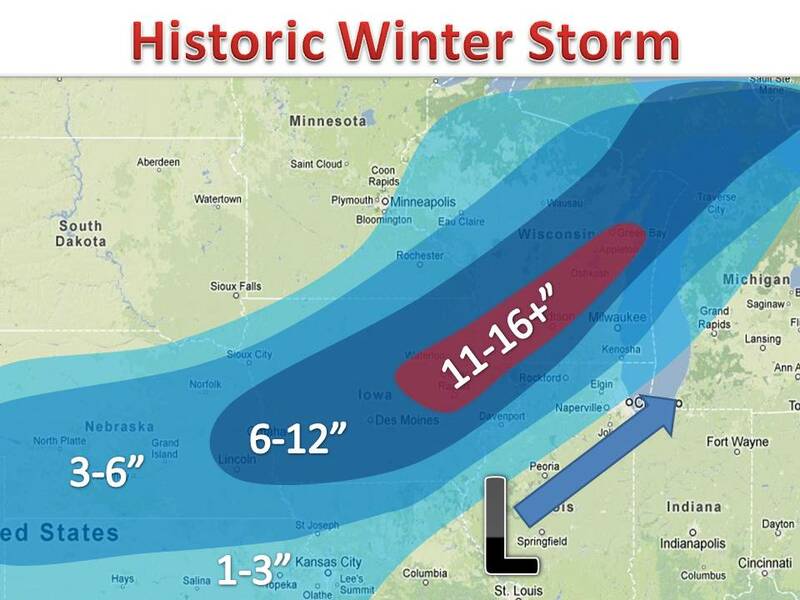 Many areas will see about a foot of snow, with up to 18" if areas from Iowa to Green Bay. Keep Safe! PS: Keeping an eye on a possible storm next week...stay tuned!